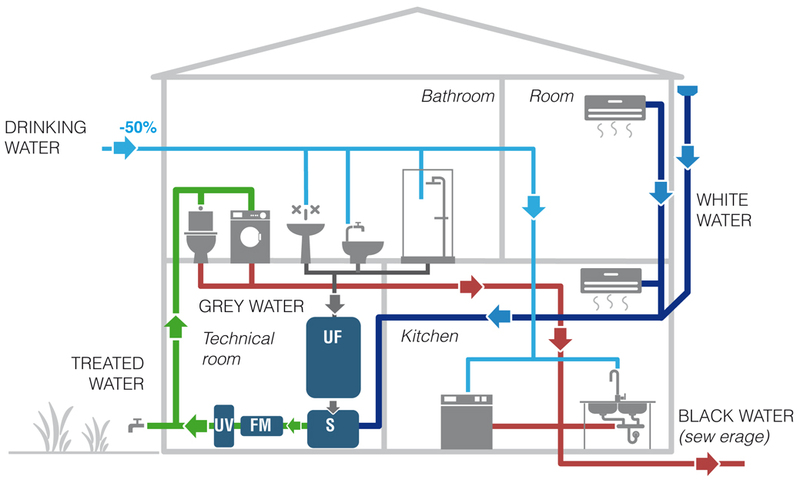 With REDI greywater recovery system it is possible to reduce drinking water consumption in a building up to 50%. 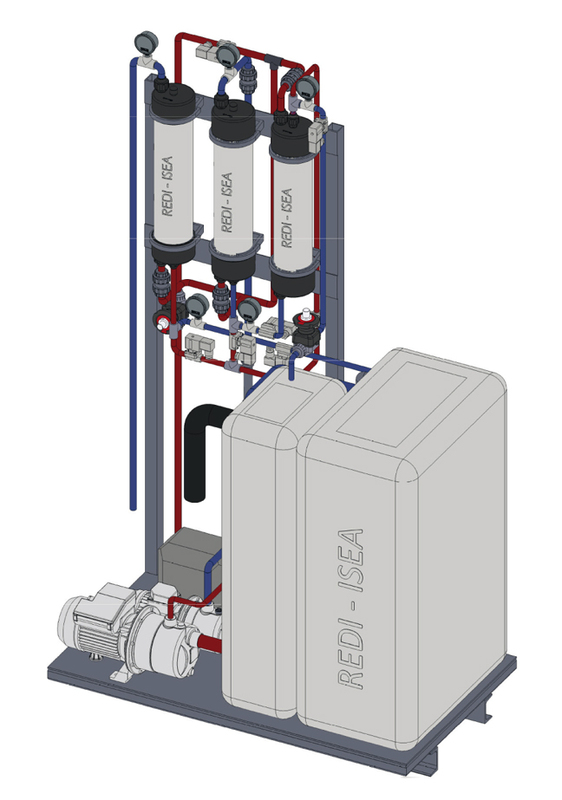 Redi has developed a compact system that allows the reuse the water coming from showers and sinks (greywater). Thanks to this system, considering the typical uses in a residential building, a reduction in drinking water consumptions even over 50% is achieved. 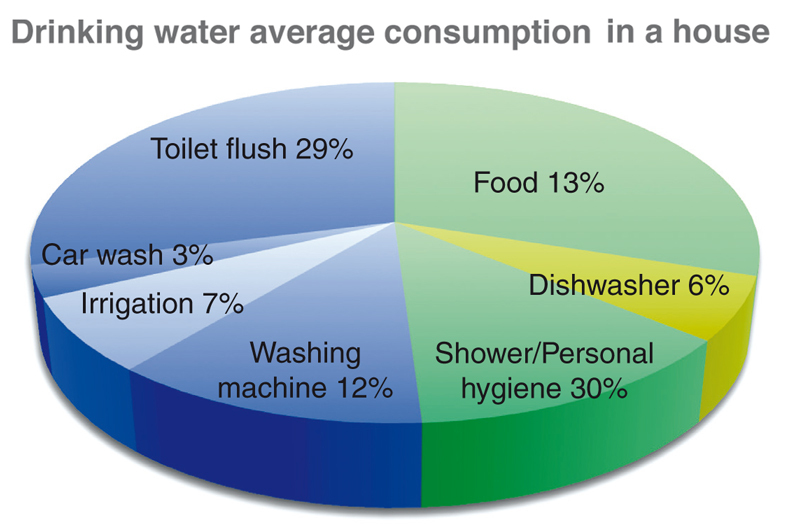 Water used for personal hygiene, equal to 30% of the average consumption in a house, can be reused. From a research based on Istat data, it is possible to estimate that between 2007 and 2015 the average increase of drinking water rates exceeded 35%. This trend will continue in the next years, taking us closer to the European average. From one single-family house up to a big residential and commercial building complex, today it is necessary to take an attitude of responsibility on the water issue. Reducing drinking water consumption is an individual and collective concern, from which great benefits can be obtained. Water is a limited source of which we often forget the value, both in ethical and economical terms. Today architecture must consider the sustainability of buildings, and this is the requirement that REDI is responding to through solutions for rainwater and greywater (coming from washbasin, bidet and shower) recovery and reuse.